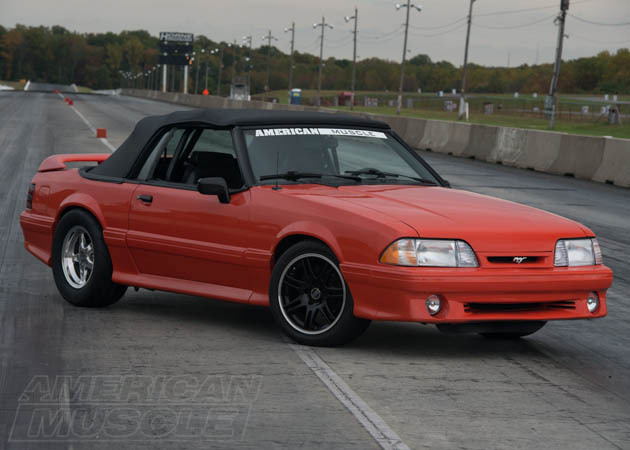 What's Needed to Install a Trickflow Head on My Foxbody? What Cylinder Head Should I Use with a Carburetor? It's no secret the old-school 5.0 Foxbody motors are under powered in today's age. It's also well-known how easy it is to wake up your 5.0 with a few engine modifications. Stock Foxbody cylinder heads have very poor airflow, but luckily the Mustang aftermarket has a ton of upgrades available. To squeeze some more ponies out of your Fox Body Mustang, upgrading the cylinder heads can lead to some substantial results. 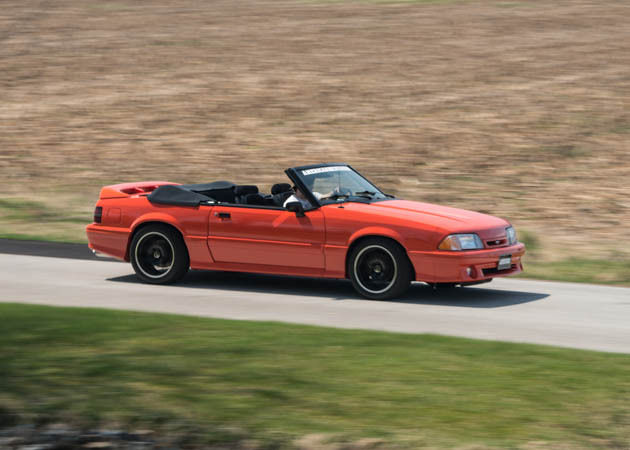 This guide contains a Fox Body cylinder head flow chart and information on available upgrades, ranging from the stock E7 heads to fully prepped, CNC machined aluminum beauties. The stock compression on the 5.0L HO is around 9.0:1 (this will vary slightly from engine to engine as no two are exactly the same). It made 220hp @ 4200 rpm, and 300 ft.lbs. torque @3200 rpm. The 5.0L HO engine may be slightly limited on horsepower, but it is full of potential. With its roller camshaft and loaded aftermarket, it’s not very hard to pump out a few more ponies. The 5.0 equipped Mustangs in their day (1987-1993) were nothing to shake a stick at. However, come the 21st century, the meager 225HP output by their mighty 5.0L V8 is way too low compared to modern standards. Luckily, despite the age of these cars, ongoing research and experimentation by aftermarket companies has yielded some impressive new parts to really wake up that low-on-power 5.0. It's common knowledge a major restriction point, from a power perspective, is found within the factory-cast E7TE heads that originally came equipped on the Foxbodies. They just don't flow enough air into the engine. They also weigh quite a bit, as they are cast from iron. 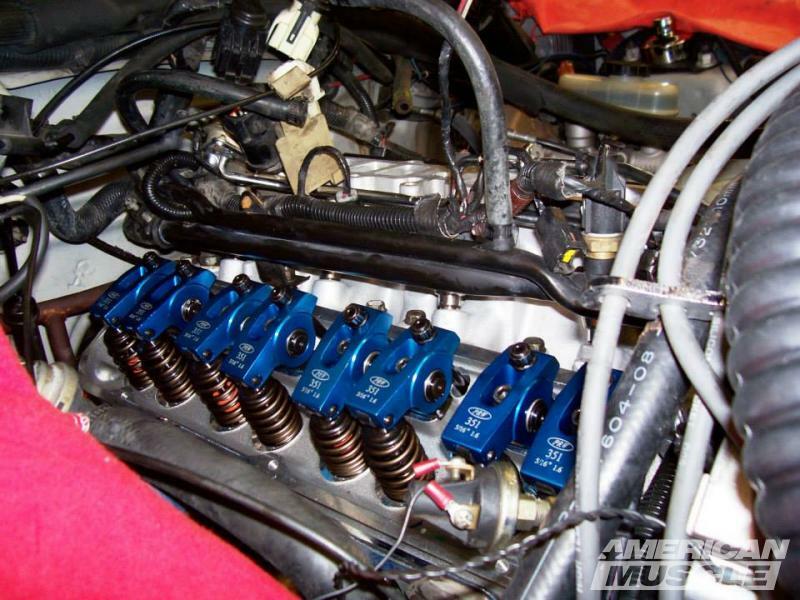 This guide presents the best options to upgrade your Fox Body Mustang's cylinder heads. Porting heads involve using a rotary tool (dremel) and a burr to restructure the passageways to optimize air flow through the cylinder head. Remove unnecessary casting material, smoothing out imperfections, and polishing the chambers are all part of the process. Porting these E7 heads, even an A job, may yield a 30HP gain. 30HP is nothing to sniff at, except porting is very expensive. Unless you do it yourself, you will have to pay a professional to do it for you. At the end of the day, it isn't logical to spend $500 for someone to port these iron heads for a measly 30HP. Of course, you can do it yourself. Many enthusiasts have. With some dedication and careful work, you can port it yourself. Alas, it is also just as easy to hamper performance as it is enhance it if you are a beginner. Iron is also somewhat difficult to work with. 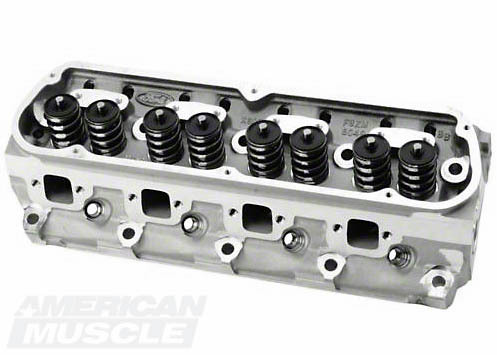 E7TE cylinder heads came equipped on all 5.0L Foxbody Mustangs between the years of 1987-1993. They featured a 1.782" intake valve and a 1.46" exhaust valve, with a combustion chamber size ranging between 60.6-63.6 cc. Factory port volume was 127cc intake and 44cc on the exhaust side with an average air flow of 125 CFM between 0.100" and 0.500" lift. It is common knowledge that a major restriction point, from a power perspective, is found within the factory-cast E7TE heads that originally came equipped with the Foxbodies. If you wish to understand WHY the E7 heads are the restriction, read on. Essentially, an engine is one massive air pump. Air enters the cylinder chamber, fuel is sprayed in and the combination mixture of oxygen and hydrocarbons is ignited (courtesy of the spark plugs) and resulting explosion drives the piston, which in turn rotates the crankshaft, which in turn spins the flywheel mated to the clutch and transmission...yada yada yada. Gas mixture ignites, engine spins, car moves forward. You get the point. The interesting AND important notion here is that the power output is related to the quantity of air and fuel you can mix. Bigger the boom, more power will be had. Of course, why not just dump in more fuel? Wouldn't that make more power? It seems it would, but actually, no, it won't. As it turns out, there is a maximum threshold for a fuel and air mixture. Meaning, if you have x amount of fuel and y amount of air, there is a ratio between the two (x:y) that results in perfect burning efficiency. If you double fuel (now 2x) but keep air the same, y amount of air can only react with x amount of fuel, thus you have x amount of fuel left over, meaning it is unburned. The ideal stoichiometric ratio between air and fuel, to make maximum power, is 13:1 (13 parts air to 1 part fuel). Fuel, because it is controlled by a pump, can be added or removed at will with no impedances to whatever quantity is necessary. Thus, the limiting reagent is air! Hey, chemistry can be useful! 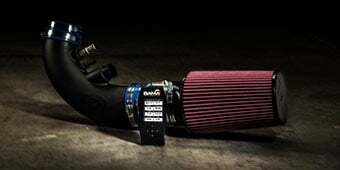 This means to make the most power, an engine should be optimized to flow the greatest amount of air. Cylinder head airflow is essentially static, determined by the passageways and contours of the head. They have a maximum limit of what they can flow. Fuel, on the other hand, is infinitely variable. Because we cannot control the amount of air (well, a turbo or supercharger does provide some measure of control, but this is a whole other topic) like we can fuel (remember, air is the limiting reagent) it is important to pick parts that flow well and similar to each other. The E7's, compared to modern heads, just don't flow enough. Their casting is just too restrictive. So, to conclude, the reason E7 heads choke the engine, is actually, they literally choke the engine. They just don't flow enough air into the engine. To squeeze some more ponies out of your 'Stang, upgrading the cylinder heads can lead to some substantial results. Quick and dirty, no, stock 87-93 Mustang E7TE cylinder heads are not worth porting. There is power to be had from porting even E7's, no doubt about that, but how much power will come, and at what cost? This is wherein the problem lies. Porting is expensive. A rough estimate would be to pay $500 to have a decent port job done on your E7's. The resulting power gain will probably be no more than 30HP. Of course. 30HP is better than 0HP, but it cost $500 to get it. Basically, E7 heads are not worth the money to pay someone to port. Porting them yourself, on the other hand, why not? I'm always an advocate for free power. If you want some free HP (minus cost of burrs to port) and have a lot of determination, time and of course a steady hand, you can port E7's yourself. Mind you, porting is tricky business, so you must pay attention. It is entirely possible to reduce performance with a bad port job. If you want to port E7's yourself, keep in mind 2 things. It's going to take a lot, and I mean a lot, of time and hard, careful work to do. Performance gains may or may not be negligible. The aftermarket offers astonishing improvements over stock heads, for both forced induction and naturally aspirated applications. Some well known names are Edelbrock, Trickflow, and of course Ford's own performance branch, Ford Racing. Benefits from these aftermarket heads are simple - better design, lighter weight, more power! All of these heads are of superior design and quality. They also are all made from aluminum which gives a significant weight savings over the stock cast-iron heads. Furthermore, they are all a direct bolt-on! No fiddling or special modifications necessary to have them fit on your 5.0L roller block. Edelbrock has several models for those considering upgrading their cylinder heads on their 5.0L V8. 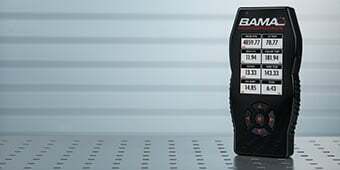 The E-Streets and Performer heads are the most popular choice because of their range of performance options, with the former being their lowest entry option. Both offer an aluminum design, 170cc intake ports and valve sizes. The E-streets are intended for those with the budget in mind and subsequently do not offer the same amount of performance as the Performers do. 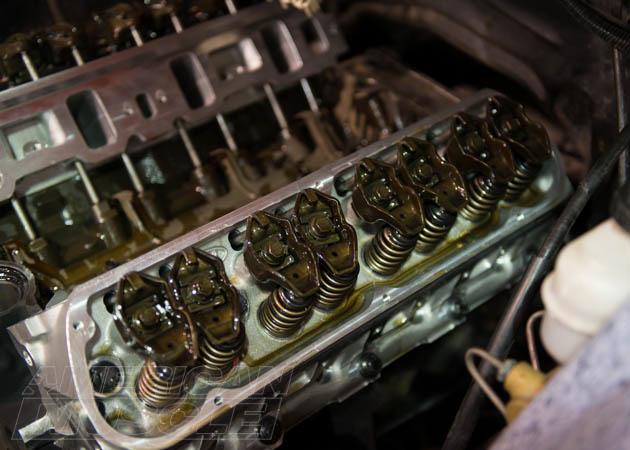 As part of a cost saving procedure, the E-Streets use weaker valve springs designed for very mild cams. Edelbrock's Performer heads are a little more robust. Both Edelbrock models are considered entry level aftermarket heads for a mild street build, with a power range from idle to 5500 rpm. With the right combination, these heads can support 300-350HP (flywheel) without an issue. Ford Racing has a longstanding history with aftermarket parts. 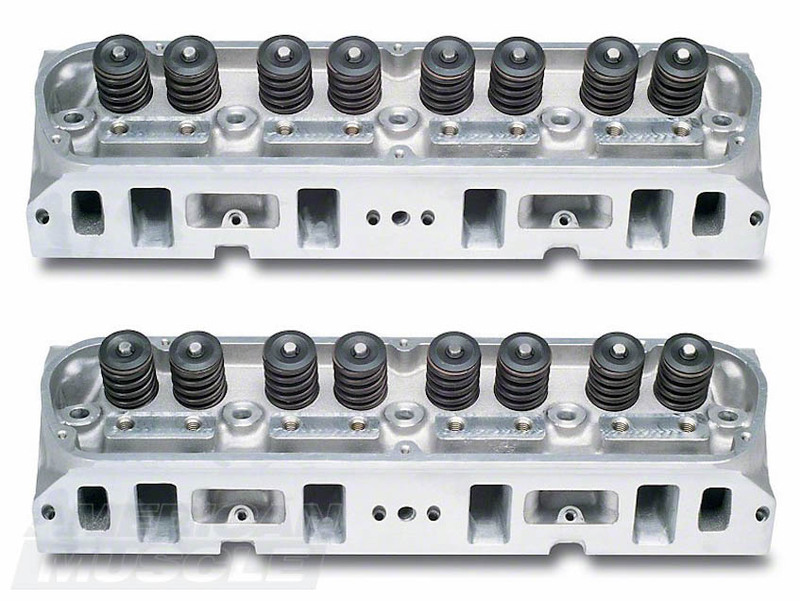 Specifically, their latest generation GT40 aluminum cylinder heads. Based off the original and incredibly popular GT40 iron head (from the 90s), Ford has continued to improve the design over the years. Today their efforts come to fruition in the GT40X Turbo Swirl 178cc cylinder heads. Claiming a hefty 240 CFM of flow at 0.550" of lift and a commanding 65HP gain, these are some solid heads. These GT40Xs are comparable to the Edelbrock Performers - similar pricing and similar performance. Again, very good for a mild street/strip build supporting between 300-350HP depending on what other parts are on the car. Trickflow, as the name implies, does use tricks to increase airflow on the Twisted Wedge 170cc head. 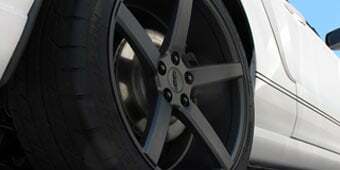 By far this set is the most popular choice among Mustang enthusiasts. However, it is also the most expensive. As some would say, you have to pay to play. Trickflow has rotated and moved the valves from their traditional position to a position atop the cylinder bore. What does this mean to you? This voodoo supposedly optimizes and increases airflow and thus power. Like the others, these heads are great for a mild street or track build. 300-350HP is not hard to get to with these heads. However, they do have one extra trick up their sleeve. In my opinion, the Twisted Wedge heads have the greatest amount of potential, i.e: plenty of room to grow if you need more power. 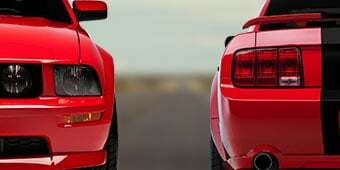 Here we have a comparison between some of the leading performance cylinder heads available for Foxbody Mustangs as well as the stock Ford E7TE heads. As you can see, Edelbrock, Ford Racing, and Trickflow all produce competitively performing heads, each having their own advantages and disadvantages. 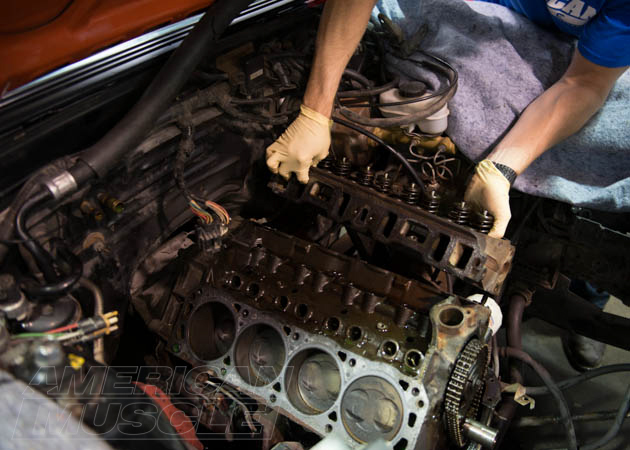 Choosing the right cylinder heads for your Fox Body build is essential and will help you determine the overall direction for the rest of the car. 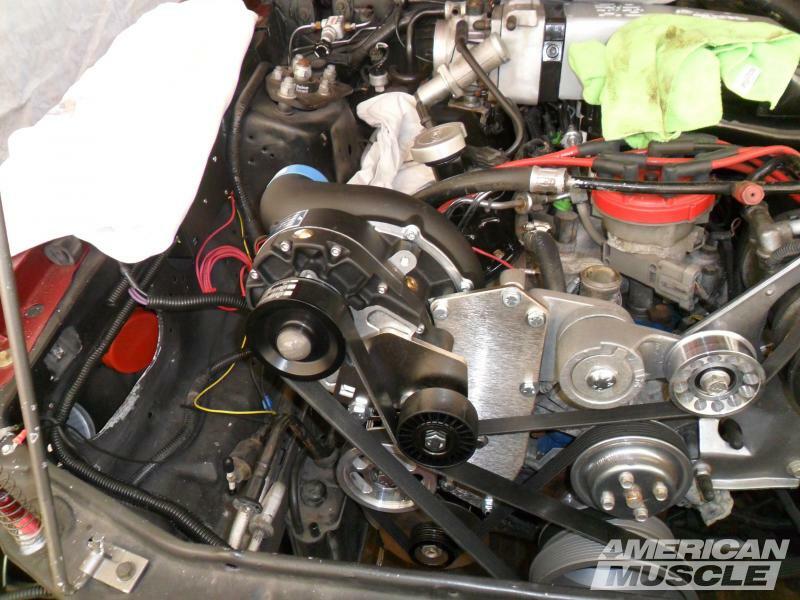 Installation of aftermarket heads on a Foxbody Mustang requires a little more than knowledge and skill to get the job done. You will need a set of tools, cylinder head gaskets, and intake gaskets. If you’re moving up to trick flow heads, you will want to spec out a proper cam, replace the lifters, and make sure to take measurements for the proper pushrod length. The stock pushrods will not work with trick flow heads, and engine builders tend to go to a 6.55” pushrod but you should get a pushrod measurement tool to be safe. 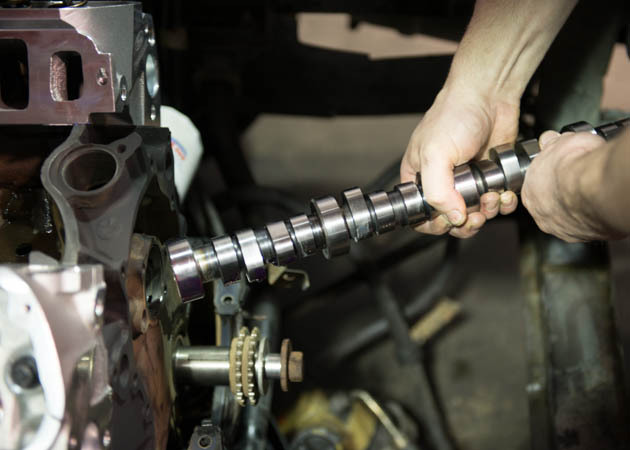 If you decide to replace the cam and lifters also make sure you use proper assembly lube and break in oils to ensure you don’t prematurely wear down the cam or valvetrain. The GT40 and GT40P are a cast-iron head that was found on certain production vehicles back in the 1990's. At the time, they offered a great performance boost for the price and were very easily attainable. Nowadays, while still popular, the aftermarket has essentially rendered them oboslete as the GT40 and GT40P series cannot deliver anywhere near the same level of performance. Not to say they are a bad head, they are just outdated. Read on to learn everything you need to know about these hot rod cylinder heads. How do I identify Ford GT40 and GT40P Cylinder Heads? There is no discernable difference between the GT40 heads from any of the above vehicles. The only variation is that some may have received more milling (Cobra), depending on what Ford vehicle the cylinder head was going to be installed on. GT40P's come only from mid-1997 and up Explorer/Mountaineer SUV models, with part #F77E-AA. Differences between GT40 and GT40P? There are some differences between the GT40 and GT40P cylinder heads. 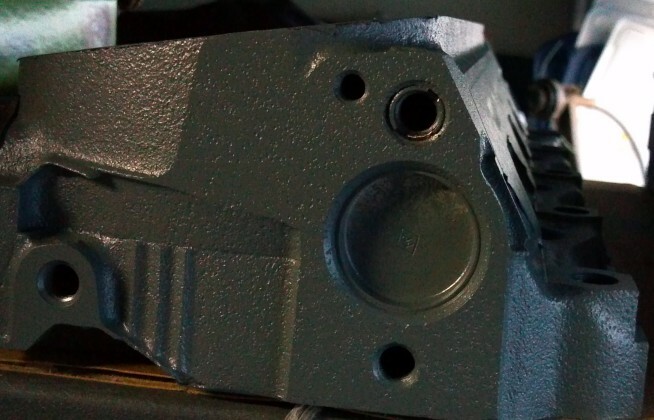 First off, GT40 heads are equipped with thermactor holes to connect to the EGR/smog equipment. GT40P heads are not. GT40P cylinder heads use an external EGR connective system (I believe in combination with the intake manifold). However, the latter can be drilled and tapped to accomodate the EGR ports, if that is your preference. Secondly, the GT40P has a somewhat revised combustion chamber, and different spark plug placement. Because of this, not all headers clear GT40P heads. Make sure to use a known GT40P-specific header. 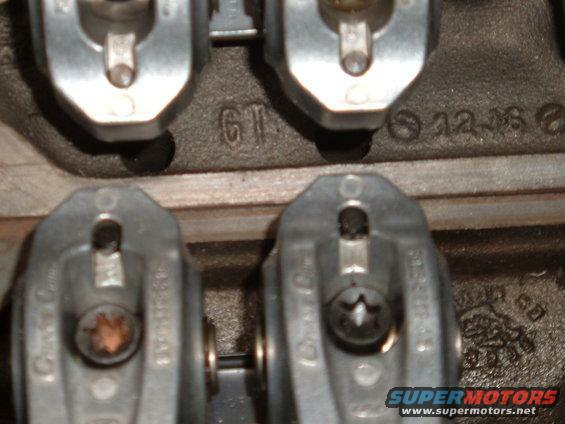 Regular headers can be used, but then require different spark plug wires to be used, usually ones capped with 90° boots. Furthermore, there is said to be slightly different chamber volumes. GT40 combustion chambers are slightly larger, with volumes ranging from 63-66 cc. The Explorer/Mountaineer heads (GT40P) are somewhat smaller, measured between 58-61cc chamber volume. Thus, GT40P cylinder heads may give a small bump in compression. Finally, the last difference between the two are valves. Both have 1.84" intake valves, but the GT40 has a 1.54" exhaust valve whilst the GT40P cylinder heads have a slightly smaller one at 1.46". GT40 vs GT40P, which are better? Really, when you get down to it, neither head is any measurable difference better than the other. The GT40P does have a slight edge over the GT40 cylinder head because of its smaller chamber volume. The smaller combustion chamber can net a bit more compression, but only marginally. Flow data shows them to flow within a few CFM (cubic feet per minute, more CFM is better) of each other. Conclusion: one is not downright better than the other. If you're stuck deciding between the two, go with whatever is available and at a better price. Horsepower wise, there will not be much difference between the two. One thing you may want to consider, however, is that stock GT40P valvesprings are not capable of handling even a Foxbody stock HO cam (0.444 lift). Thus, their valvesprings will have to be changed. This is balanced by the fact that GT40 heads, for whatever reason, are more valued. GT40Ps are generally cheaper. How much power will GT40 or GT40P heads produce? Real world data seems to show that GT40 or GT40P cylinder heads, assuming no other mods on your Foxbody, are good to add anywhere between 20-40 HP (over stock heads). There are a lot of variables that must be addressed to give a better estimate, but a good basic estimate is 20-40 HP at the crank. Generally speaking, GT40 or GT40P heads on a mild 5.0L (basic modifications, i.e exhaust, Cobra intake manifold, cold air intake, good air filter) will give a stout 275-325 HP at the crank (230-280 RWHP). The great thing about GT40 and GT40P cylinder heads, despite their old iron design, is that they are pretty easy to find. Foxbody Mustang enthusiasts all over the internet are constantly buying and selling them. 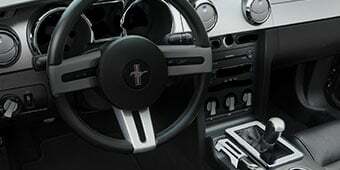 A good place to look is in the classified section of a Mustang enthusiast website or forum. Another, perhaps even better, place to look is at your local junkyard. GT40 and GT40P heads were factory pieces, fitted on multiple models of Ford vehicles. 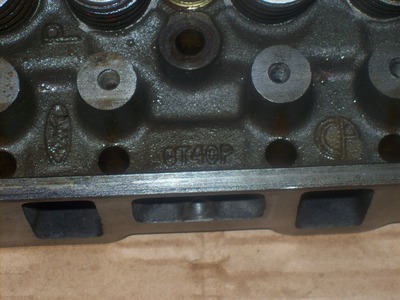 These cylinder heads can be picked up dirt cheap at a pull-a-part type yard! Craigslist too is an invaluable tool in your cylinder head search. You'd be surprised how many parts you can find listed in your local/regional Craigslist site. Iron GT40 cylinder heads seem to be valued moreso than their GT40P counterparts, so expect to pay a little more for GT40s. I see these sell quite frequently between $250-$400 on Mustang classified sites. GT40Ps, on the other hand, can be had for as little as $200! Even less at pick-a-parts! Junkyards occasionally even have a warranty or guarantee on parts sourced there. I once saw a complete GT40P set going for $40. car-part.com is a great place to start an online search for parts contained in scrap yards. Just keep in mind the potential added cost of a new spring package to stock GT40P heads. Their factory equipped springs are no good for even a stock Foxbody HO cam. What springs to use for GT40P cylinder heads? The stock springs that come installed on GT40P heads (remember, GT40P's come from factory Explorers/Mountaineers, they cannot be bought new) are awful. They may not even hold up to a 5.0L V8 Mustang's stock HO cam, rated at 0.444 lift with the stock 1.6 rockers. When installing GT40P heads, it's imperitive you replace the springs. Of course, what spring package you pick is totally dependent on what cam and rocker combination you will be using. If you're sticking with the stock HO cam, take a look at Comp Cams 987-16 spring package. It's a great option for the stock cam and is reasonably priced at $95.. The above paragraph talks only about spring options for GT40P heads. Regular Ford GT40 iron heads aren't known for having the best valve springs either. They are better than the stock GT40P springs, but if pushing anything more than stock lift (0.444 in), it is best to replace them as well. 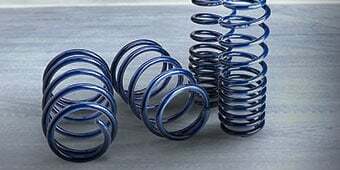 Keep in mind though that the cost of a spring package adds onto your overall costs of the heads. i.e: You buy a set of stock GT40Ps for $150, don't forget the added cost for springs. You may also want to get the heads checked out by a machine shop (if they haven't been already) which will add to the price as well. What headers will fit GT40P heads? Another slight issue with GT40P heads, in comparison to Foxbody Mustang E7 (Stock) and GT40 heads, is their sparkplug location. Because of their different placement, there can be fit issues with some headers. Here's a quick list of some headers known to fit GT40P heads with no issues at all. These are not the only headers that will fit. In fact, almost any header can be made to fit with a little grinding and perhaps special spark plug boots. However, if you're just looking for a direct fit, the above headers are sure to work. The answer to this question is entirely dependent on you. Let's do a quick rundown of GT40/GT40P cylinder heads. 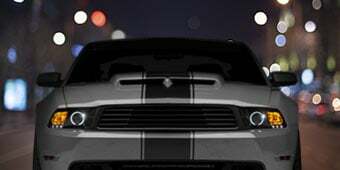 What are your goals for your Mustang, how much power are you looking for, how much money do you have to spend? 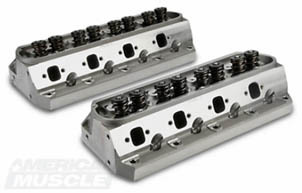 These questions will determine whether or not you should go with GT40 style cylinder heads. There are definitely better cylinder heads out there in the aftermarket world, but again, consider your needs (objectives, budget). Any modern designed aluminum head these days will blow GT40 and GT40P heads clean out of the water. However, you have to pay to play, and these aluminum heads don't come that cheap. Looking for a mild 300 HP build on a budget? By all means, the GT40's are for you. Craving a little more power? Say 350 HP (or the magical 300 RWHP mark), you'll need a cylinder head that moves a little more air. Factory product = factory fit. No installation issues. Good for a moderate horsepower gain, 20-40 HP. May need upgraded springs (GT40P's). Only good for 20-40 HP. Stock throttle body, while adequate for stock applications, is not the end all be all of throttle bodies. 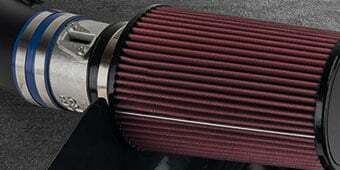 There are many aftermarket applications that outperform the stock throttle body. The stock unit is limited by size, something an aftermarket throttle body can fix. When changing heads, camshaft, intake manifold, etc. It is always a good idea to change the throttle body. Retaining a stock throttle body size while upgrading everything else creates a larger bottleneck at the throttle body. Also, the price of the throttle body is quite cheap when compared to heads, it is a small price to pay for a substantial benefit. As you can see from the flow numbers, any of these aftermarket aluminum cylinder heads will really wake up that 5.0L slumbering beneath the hood. 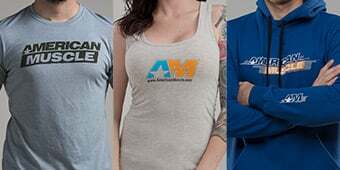 Furthermore, they are available in different stages and packages. For example, you can buy these aftermarket heads as cast. If you prefer some more power and at an added cost, you can opt to purchase a CNC machined version which will have better airflow over the cast version. Each head can come equipped with different spring packages, smog equipment provisions, etc. There really is nothing that Edelbrock, Ford Racing, or Trickflow has left out. Extra power certainly can be squeezed out of the stock E7s, but with the design and technology implemented within the modern aftermarket heads they really are the best choice. Heads are a vital part of an engine efficiency and power. While there are plenty of heads, there is no sole right option. Proper head selection needs to be compared with camshaft, header, and intake manifold selection. While most of the time more lift and duration is beneficial, there is still these factors to consider when swapping heads. This not only applies to fuel injected vehicles, but also carburetored vehicles as well. With Carb'd vehicles, carb size is important as well. If a rebuild is in your future plans, a change in piston type can yield significant results in compression. 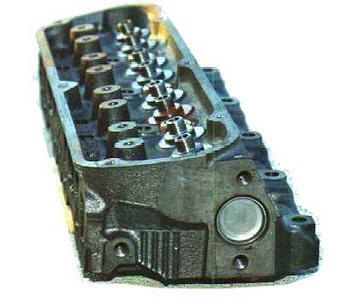 The stock piston is a flat top design with four valve reliefs cut in the tops of the pistons. The valve reliefs give the piston a 8.00 cc (roughly) piston head volume. A flat top piston will yield 0 cc of piston head volume and a domed piston will yield a piston head volume in the negative. The lower the piston head volume the higher the compression will be. Just be sure that you are within the proper piston to valve clearance. Machine work can also bump the compression up a bit. If your rebuilding your 5.0L, you are probably having the cylinders bored to at least .030 inches over. This alone will net a small increase in compression. The reason for the gain is the new larger cylinder can hold more volume. This allows for a larger volume of the air/fuel mixture to be squeezed at top dead center by the piston. Having the deck (the top of the block where the cylinder heads are attached) milled, or “shaved”, will effectively raise the compression ratio. By lowering the deck slightly, you increase the distance the piston travels up in its bore. This results in more “squeeze” from the piston. 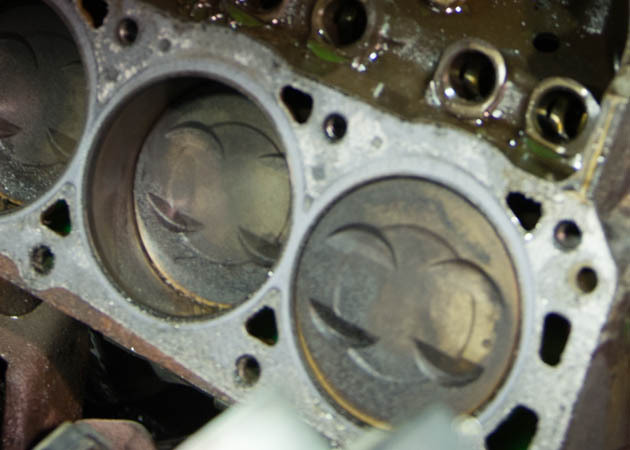 Again be sure your camshaft, timing, and valve train won’t cause issues with piston to valve clearance since the pistons will travel closer to the valve. If you plan on keeping your Fox Body street able, don’t get too crazy with the compression. Remember you will always have to use a premium fuel with higher compression or else you will run the risk of pinging, or pre detonation. You will also have to make changes in the timing as well. 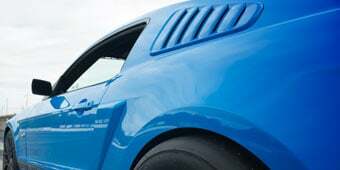 However, more compression will yield more horsepower and pep out of your mustang. Also, increasing the compression can be a lot easier than most folks think. At the end of the day, E7 heads just aren't worth the money to improve. Aftermarket options have come a long way. They offer incredible power improvements over stock AND room to grow. In comparison, E7s are nearly maxed out in stock form. Read below to get an overview of what the aftermarket has to offer.